With Christ at the center, we make faith personal, put faith in action together, and pursue God’s greater for our lives. Crossroads Baptist Church has been pursuing God’s greater and we’ve grown from a handful, to a houseful, to now impacting thousands of lives in our city and around the world. We’ve seen God do greater than we could ever do on our own, and that’s what we’re believing for this community and beyond. We’re here to make sure families are supported so that children grow knowing God loves them no matter what, that people with addictions know that there’s freedom in Christ, and that the broken marriage knows there is healing and they’re not alone. Together we are pursuing greater. 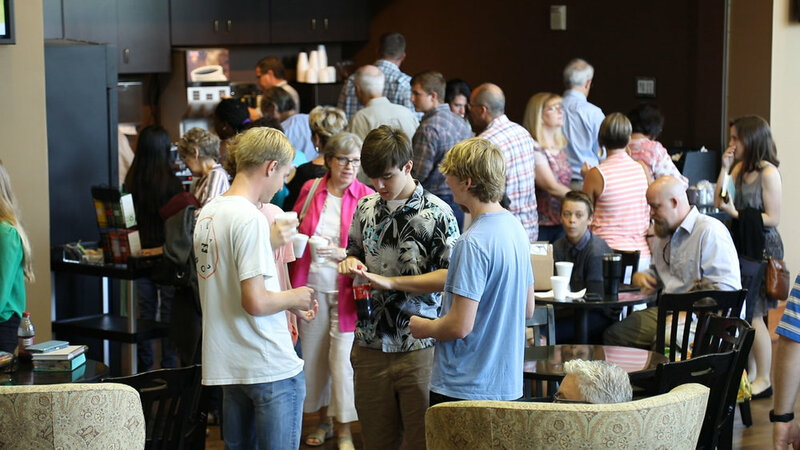 Crossroads is a place where you will discover a friendly environment, great music and relevant Bible messages. Whether you are a Christ follower or someone checking out what a Christ-following life is all about, it is our hope you will experience a fresh expression of God’s love. Prayer at Crossroads is not something we do; it defines who we are. We are a praying people. Through prayer, we grow in our personal relationship with God. Through intercession, we partner with God to establish His heart, His will, and His purposes in our families, our church, our city, our nation, and the world. Prayer is engaging, exciting, and rewarding.